Free standing shelving units are very popular for both apartments and houses. They are versatile and can be used in virtually any room, from laundry to powder room, kitchen to basement. 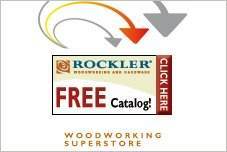 These free standing shelves plans are economical and add a lot of decorating punch for your dollar. Choose stain or paint to blend with your room decor and add storage or display space in a small amount of space. Some free standing shelf plans use plywood and are easy to build. 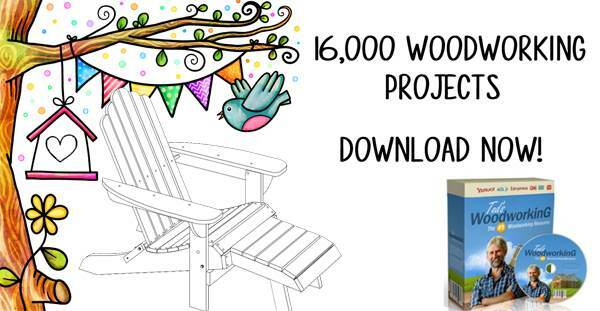 Other plans use hardwood, for an elegant designer look and require some advanced woodworking skills. Choose a shelving unit that doubles as a room divider or a portable model that leans against a wall. A free standing shelf helps to organize clutter and display collectibles and keepsakes. Plans to build a 5-tier display tower to hold books, cds, dvds and more. This unit looks like a ladder leaning against the wall. Build your own stylish shelving unit built on columns with no back or sides. 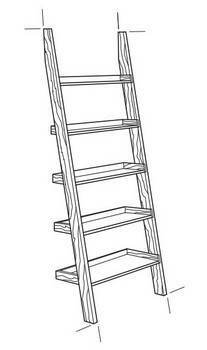 Nice plans for an artistic and good looking ladder shelf unit that can be made in a day. 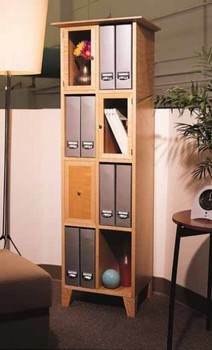 This modern storage tower works great in an office setting and will give you lots of needed storage and organization. 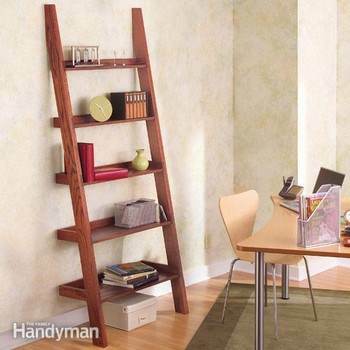 Build your own leaning ladder shelves that will look beautiful in your home. 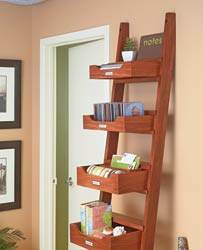 This ladder shelf allows you to display your favorite decorative items along with books and other miscellaneous items.